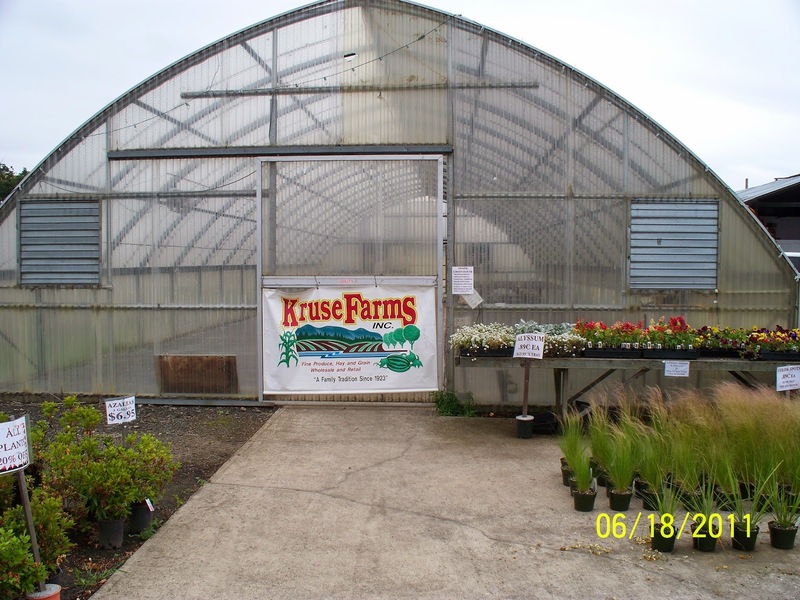 One of our favorite stops when we are staying in Sutherlin, Oregon is Kruse Farms. We like to go there to get fruits and vegetables. They have fields nearby where you can pick your own strawberries, but we usually buy from the market. In addition to the normal fruits and vegetables they also have a bakery where they make cakes pies and assorted chocolate covered fruits. The chocolate room is always my favorite. Protected area for plants started from seed and other fragile plants. 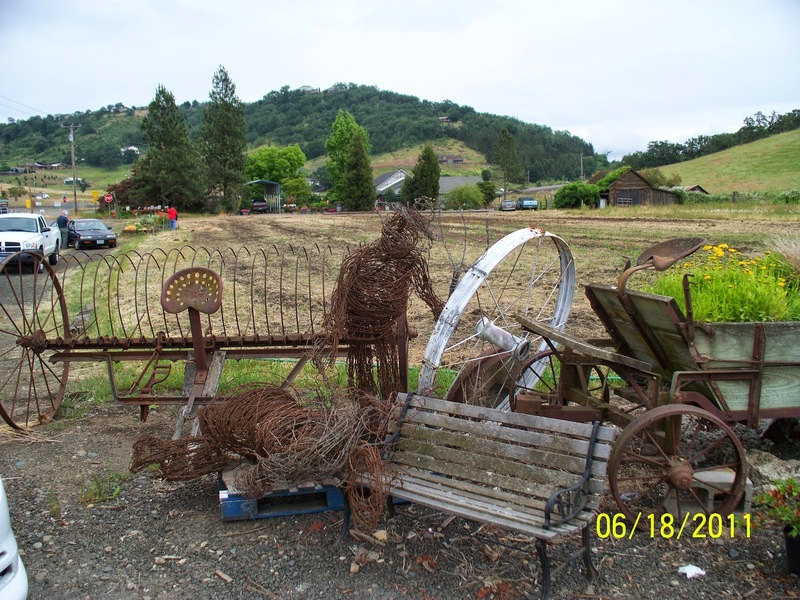 Farmer made from barbed wire. 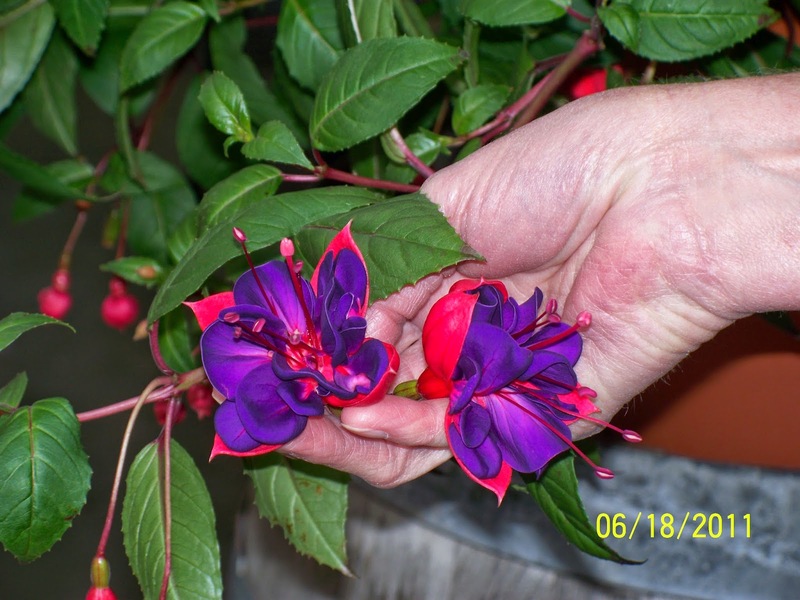 Fucia is one of the many beautiful flowers around the facility. 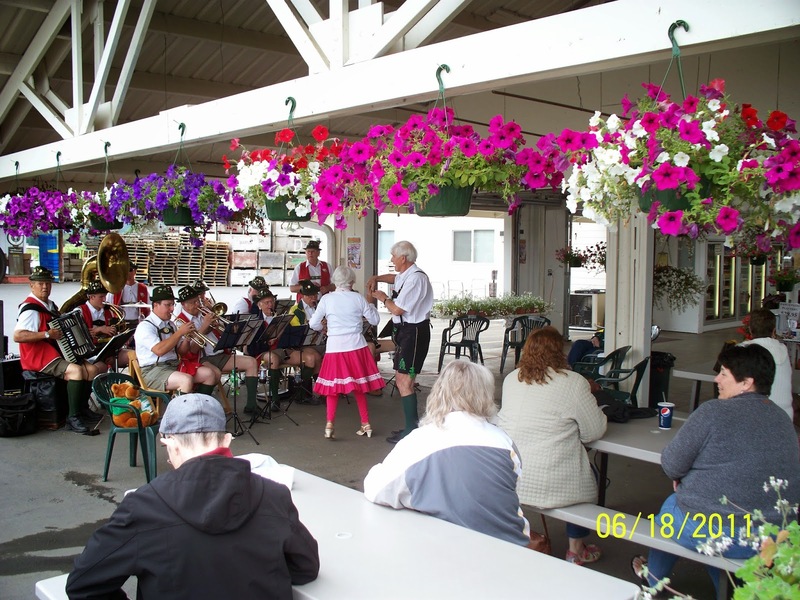 We were there one beautiful sunny afternoon in June 2011 when the had a German band playing polka music. The were five or six couple that danced through the afternoon.